"...two Frenchies started out an Australian-style café in Dijon. " This could be the beginning of a joke. Well, we hope it is the beginning of a funny story, because we like a good laugh. But first and foremost, we'd like it to be the beginning of an appetising, joyful and enriching experience. And we'd like you to be part of it, too. The whole thing started by the lake - Geneva Lake. More precisely in Thonon-les-Bains, on the French side. That's where we met. That's also where we both studied hospitality, cuisine and food service in the International Hospitality School "Savoie-Léman". We got to learn not only the professional skills specific to our industry, but also the values that are still ours today and on which our concept is based. Then we travelled to Australia. Yeah, why not? There we found out about specialty coffee, and fell in love with the very unique atmosphere of Australian coffee shops (Melbourne ❤︎). The initial taste and interest for coffee soon turned into an authentic passion for the matter, and the passion into an entrepreneurship project.  Our love and enthusiasm for the good things in life made us open the MORNING GLORY CAFE. We aimed to create a cosy place, casual and friendly, where people would feel comfortable and comforted, while enjoying high-quality coffee and hearty produce. Good food isn't just something we say; it's a real commitment. We grew an authentic passion for tasty things and beautiful produce. The origin and the quality of what we serve is of great important to us. We selected all our suppliers for their savoir-faire, their excellence and their very unique character. Everything on the menu is homemade, from fresh and seasonal ingredients : these are the tastiest ones. As the French saying goes: "You can't make an omelet without breaking eggs". That's a matter of fact. But allow us to go one further: "You can't make a good omelet without breaking good eggs". Last but not least, we wanted to create a very welcoming space, both cosy and convivial, with a urban, luminous design. A place where you feel comfortable, and where you enjoy tasty things every time you come. Nothing less! We look forward to meeting you, and to sharing our passion with you. Votre adresse de messagerie est uniquement utilisée pour vous envoyer notre lettre d'information, tel qu'indiqué dans notre Politique de Confidentialité. Vous pouvez à tout moment utiliser le lien de désabonnement intégré dans la newsletter.